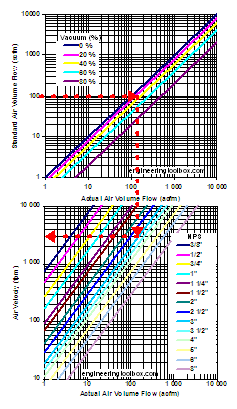 Air velocities in vacuum pipes can be estimated with the diagrams below. The diagram is calculated for steel pipes schedule 40. Engineering ToolBox, (2008). 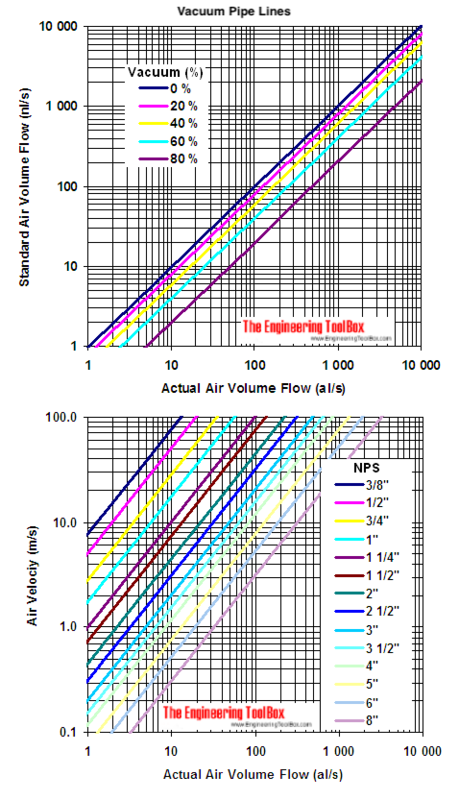 Vacuum Pipes - Velocities . 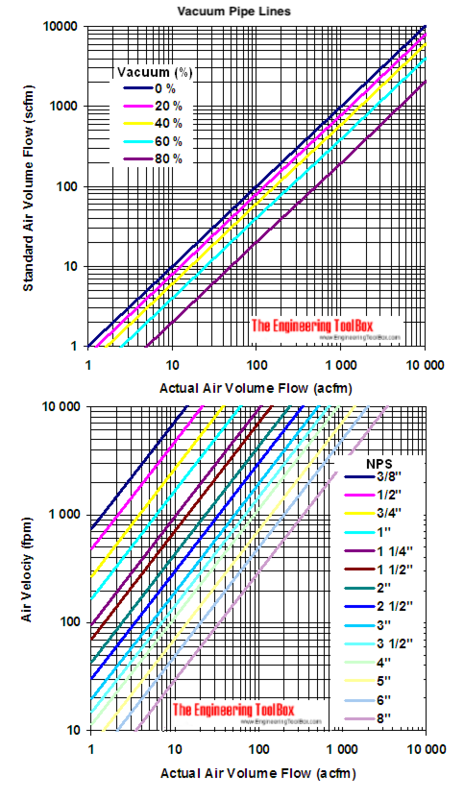 [online] Available at: https://www.engineeringtoolbox.com/vacuum-pipes-air-velocity-d_1195.html [Accessed Day Mo. Year].